So I was wondering if ripping the 8x1x30″ board down to four 2x1x30″ laths and then resawing those was the better way to go. And now I know. So that’s twelve slats down, eight to go, and now I have to ponder whether I break down the 60″ board I have into two 30″ boards and use one of those and have the other in reserve and save the 34″ for something else; or if I use the 34″ board for the last eight slats and keep the 60″ in reserve. I’m leaning heavily to the former on the grounds that I’m going to do another timberyard run later this month. I also got to try out some new tools. 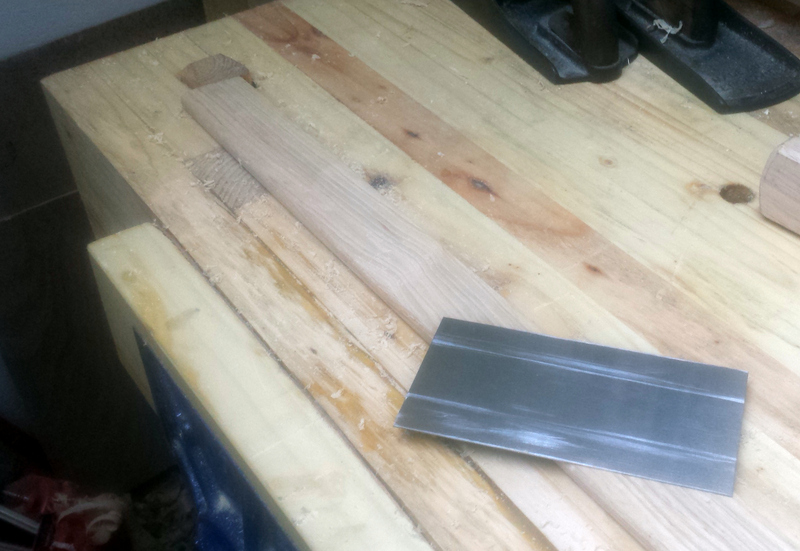 So I used slat #1 in that pile as a test run earlier, but even with my smoother on the wispy setting, I couldn’t get rid of all the tearout on the slat, there was one portion that had awkward grain. 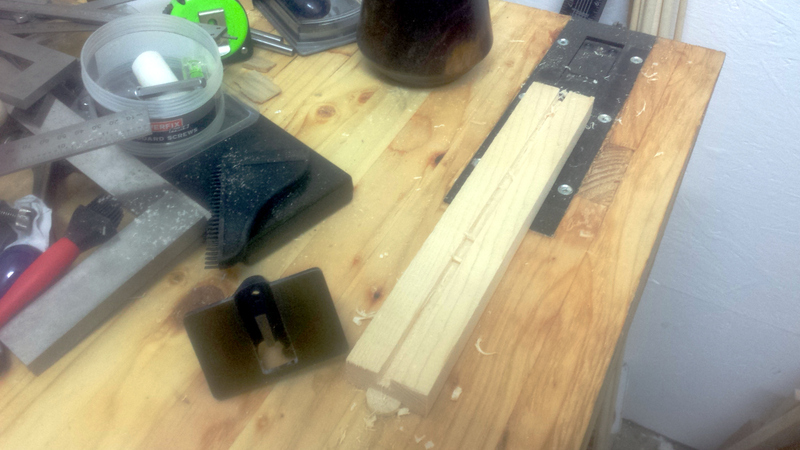 I did have a plan for this, but first I needed to make a jig for a file. 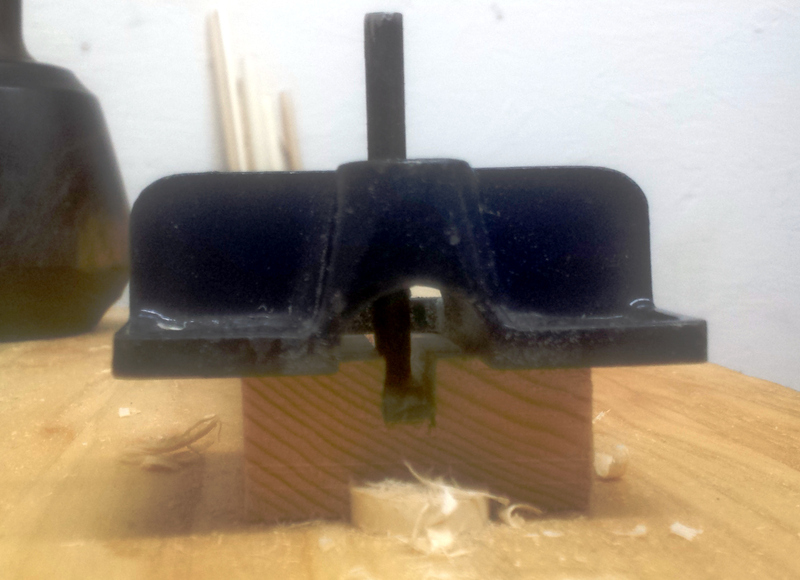 I don’t care that it’s not vital and I don’t care what Paul Sellars says about dogs and end vices, I think that thing is great 🙂 It would have been a right pain in the fundament to do that routing job against a planing stop and the face vice was warping the wood slightly (this is yet another on the list of JigsIWillHaveToMakeABetterOneOfLaterWhenIHaveTime 😀 ). I haven’t had a task for this little guy either, I knew I’d be using it on this project so I bought it earlier off ebay, but it’s been languishing in a box ever since. Perfect for this though. 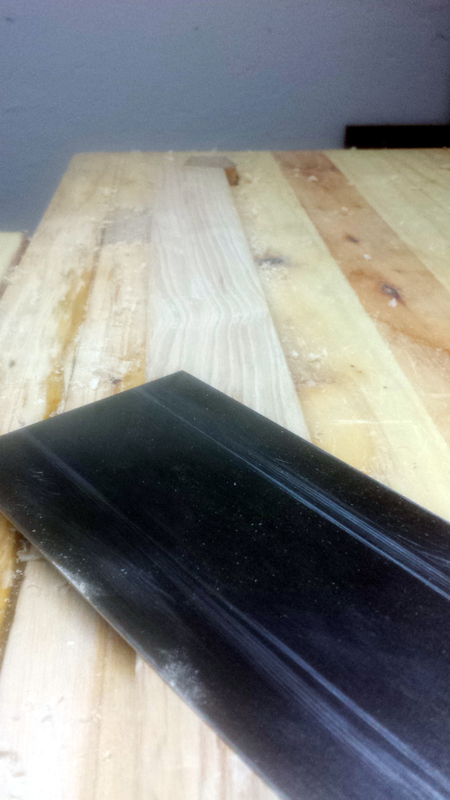 Few minutes with a smoother and a pair of thin wedges because it’s not perfect but who cares, it’s a pine jig, and I had a fence for my file and I could get on with sharpening my card scrapers. I do have a #80, but I cleverly took out its card and put it somewhere safe, so I’ll have to go digging to find it again. Till then, we do it by hand. And wow, does that work. Almost exactly as advertised, and I think the slightly-more-fiddly-than-I-was-expecting bit was down to a poor sharpening job rather than the tool (the cheap chinese burnishing tool I have is, I think, not a burnisher as the card scarper was grinding small gouges into it…). I am going to need a better burnisher, but this puppy’s getting used on the project for certain and definitely earns itself a place on the wall. You can just about see in that awful photo the part where the grain gets squirrelly, and that was tearing out in both directions with the smoother – with the card, it’s now glass-smooth to the touch even though it still looks squirrelly.